Prime Minister K.P. Oli will be meeting NAST VC to discuss about NepaliSat-1 soon. 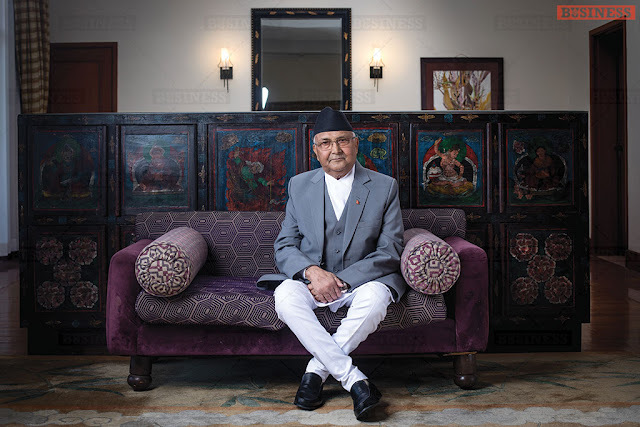 madeinepal.space understands that the Prime Minister of Nepal has shown interest in NepaliSat-1, a 1U CubeSat currently being delivered to Japanese Aerospace Exploration Agency at the time of this writing. The satellite’s stakeholder organization Nepal Academy of Science and Technology’s (NAST) newly appointed Vice Chancellor Dr. Sunil Babu Shrestha had attended the press conference held at Kyushu Institute of Technology on February 15, 2019. Dr. Shrestha was thoroughly briefed on the system by BIRDS-3 team (NepaliSat-1 was built by the BIRDS-3 project) and was also able to observe satellite facilities in the institution along with the Flight Model (FM). FM is the model of the satellite that is going to operate in space. Since Prime Minister’s announcement of the launch of the nano-satellite in the parliament recently, the satellite and project has come into increased scrutiny from both ministries and media. The question raised mostly has been on its application and what data mined in space can be directly used in. That has spiked interest in the public and law makers alike. First of all, it’s positive that a satellite that weighs a kilo can start a national debate at the very top level. What’s worrying though is the possibility that the mission could by overhyped and misrepresented. The challenge here though is to explain what NepaliSat-1 does and how it may contribute to doing serious, result oriented missions in the future. The important, key word here that I try to stress is the future. The next 10, 20 years. 2019 will only mark the first step to mining useful data from space. Data that can help in a making sound decisions in critical and not critical times. NepaliSat-1, Nepal’s first satellite, is primarily a technology demonstration platform for three main sectors; Remote Sensing, Communication, and Standardization. For remote sensing systems, a satellite primarily needs these two aspects: A multispectral camera with optics and attitude pointing (satellite free rotation control and specific area focus). NepaliSat-1 will demonstrate in orbit the feasibility of taking images in RGB (Red, Green, Blue – Color) from space from 400km. An image just large enough to be distributed in the media will be taken. Once it’s proven that Nepalese can take images from space, it will only then be time to think about how to utilize that. Remote sensing systems also needs pointing. For satellite to point, it has to be stabilized first from its free rotational state. NepaliSat-1’s second mission is show, in orbit, that the satellite’s angular rotation can be slowed down. This will then pave the way for attitude pointing. For communication, a Long Range (LoRa) module has been placed. What we envision in the future are these ground sensor networks which can send data (water level, temperature, humidity, soil moisture, SOS) up to space. The satellite then picks up these signal, stores the information and downlinks it into NAST now under construction Ground Station. The communication is done through the ultra-low power consuming communication module. That’s the future. For now, we want to demonstrate that the module we want to use can work in space environment. Once proven, Nepal can then move on to utilize this resource in wide range of fields. 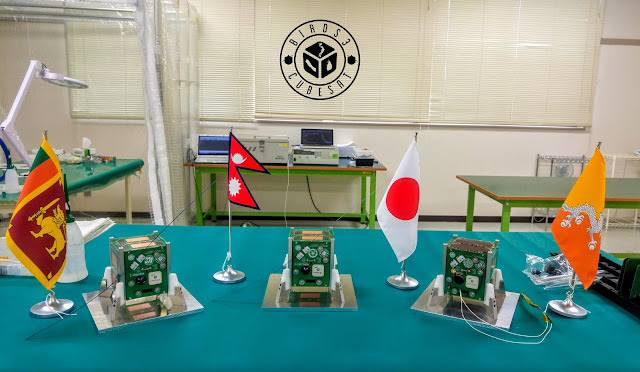 For standardization, NepaliSat-1’s sister satellite Uguisu will be carrying a Printed Circuit Board (PCB) that acts as a harness (connecting one sub-system to the other) and can be rerouted through software. This cuts down 1) time 2) cost for development. Nepal, in the future, will aim at designing and possibly manufacturing commercial space sub-systems. Being able to standardize and commercialize this PCB will provide enough experience for team members to build better products in the future. This being said, Nepal has to be pragmatic not overly optimistic about their first satellite. Truth be told application wise, the satellite will disappoint a large number of people who expect it to directly influence the future of the country in any way. I would say that’s very short term thinking. But if you are someone willing to go through the short term pain for long term gain, I strongly feel it’s worth being a little patient. My fingers are crossed on this one.